Here are some handmade Valentine Cards by Valerie Smith that will hopefully inspire you to make your own Happy Valentine Card this Valentine Day. 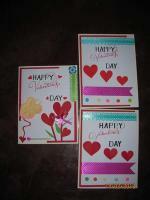 These handmade Valentines Day cards by Valerie are beautiful. 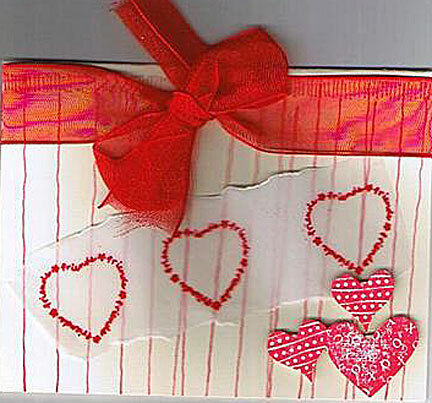 Valerie used red hearts and ribbons to create these romantic cards. 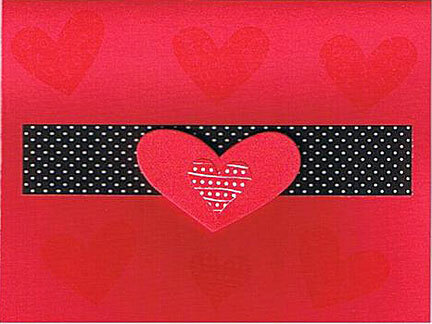 Note: You can view a gallery version of the following handmade Valentine cards by Valerie Smith. Just place your curser on any image on this page and click. A new window will open with the image and you can click on the forward or backward arrows. When finished viewing, just close the window and come back to this page. Red hearts rubber stamped on vellum and tear to layer onto white cardstock rubber-stamped with red vertical lines. More red hearts stamped and trimmed and glued to white card with foam tape for a 3D effect. Finally, tied with a big red ribbon to give a soft romantic look. A rubber stamped rose on white cardstock, colored and layered on gold card. 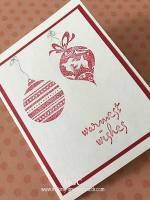 This is glued over a red card that has been stamped with the same rose rubber stamp with Versamark ink for a watermark effect. Heart and more hearts here. Let me guess! Valerie stamped a small heart with red ink, cut out and layered over another bigger red heart-shaped cutout. 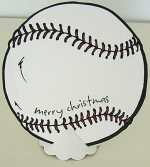 This is taped down with foam tape on a piece of black and white pokka-dots ribbon. And glued onto a red card that has first been stamped with a heart rubber stamp inked with Versamark ink to give that watermark effect again. 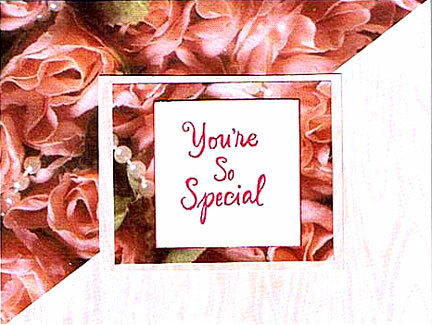 "You're So Special" - a message stamped onto white card layered against romantic pink rose and pearl design paper. 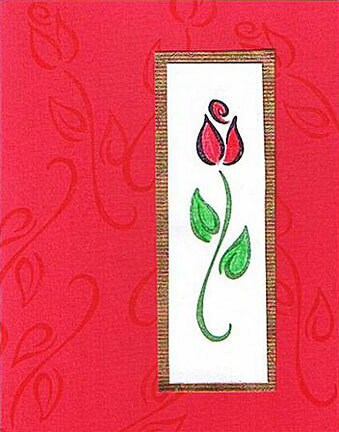 Valerie used more layering to create this lovely rose card. 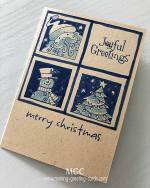 If you enjoyed viewing these handmade greeting cards by Valerie Smith, then I'm sure you would like to click on the links below to view more of her handmade cards.